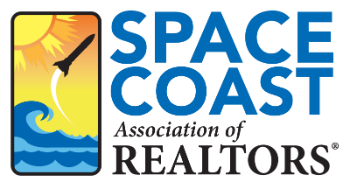 Clarifying Service Animals 3 CE - Space Coast Association of REALTORS® Member Site. Have you ever been in the situation where tenants are looking to rent a house with a no pet policy, or you have a buyer looking to purchase a condo in an association with a no pet policy, or maybe you had a short-term tenant bring their animal on vacation where no pets are allowed? If you haven’t chances are you will! Take this course and learn how to handle situations like this or similar, appropriately and keep yourself out of trouble. Objectives: After taking this class students will be able to: • Identify what classifies a service dog under the American with Disabilities Act. • Explain when Emotional Support Animals are and are not protected by various laws. • Understand how Officer K-9’s are classified and how to treat them in a rental situation. • Understand the requirements for training a service dog. • Identify the questions allowed to ask someone who has a service dog to verify the allowance of the dog. Understand when a service dog may be excluded from ADA. • Explain how service dogs are classified under the Fair Housing Act. • Explain how an Emotional Support Animal would be allowed under the Fair Housing Act. • Know the questions allowed to be asked under the Fair Housing Act and Section 504. • Understand what Florida Statutes says regarding service animals.